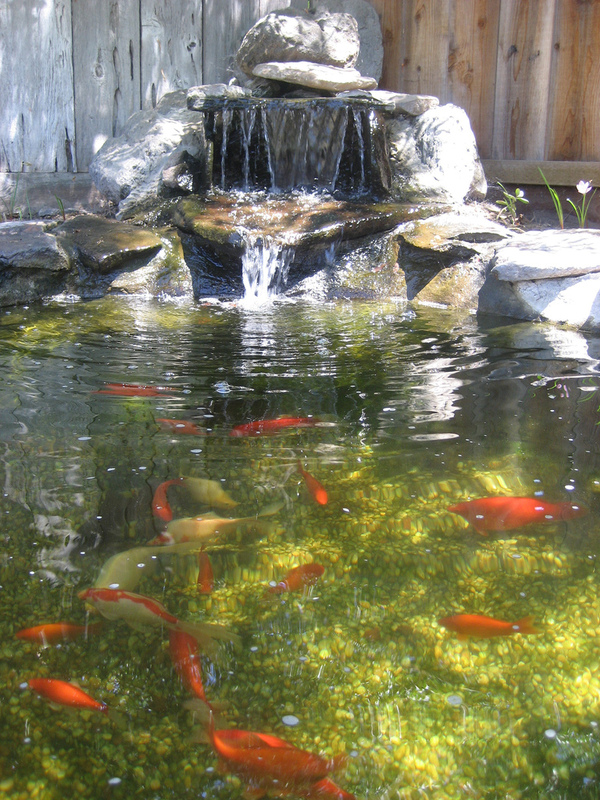 Goldfish ponds are exactly the same as Koi ponds just much smaller. 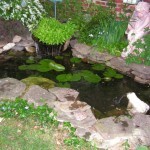 The cost is around 50% less expensive than a koi pond. 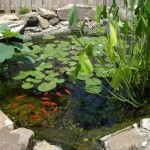 Goldfish ponds can be as small as 500 gallons and as big as 1500 gallons. 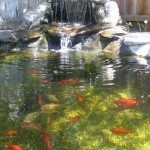 Goldfish ponds are alot of times referred to as water gardens. 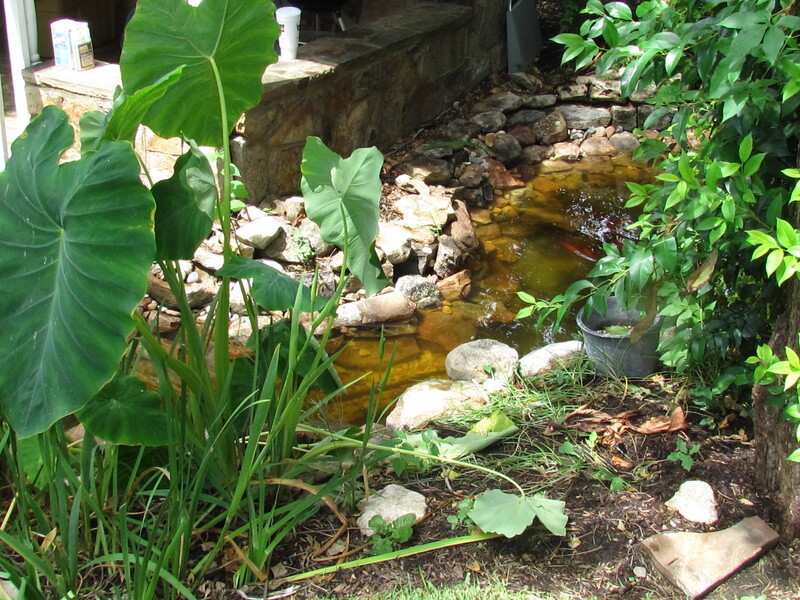 Goldfish ponds are for those that want the excitement of the fish and the soothing water sounds. 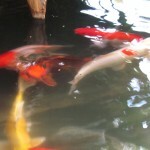 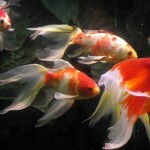 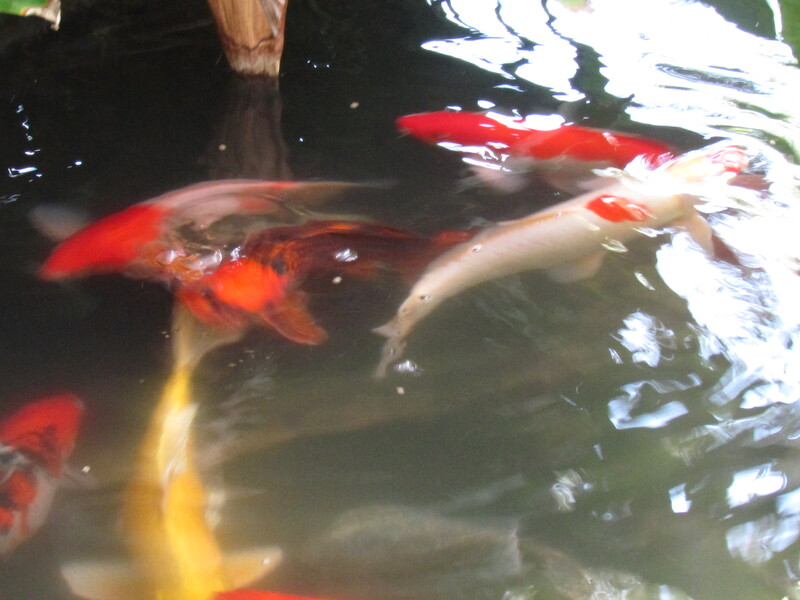 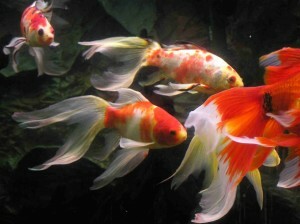 Goldfish are just as beautiful as koi and some are even more pretty as seen in the photo above. 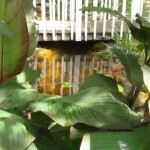 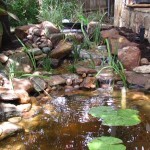 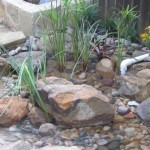 Although water gardens can be almost any size or depth, they are typically small and relatively shallow, generally less than twenty inches in depth. 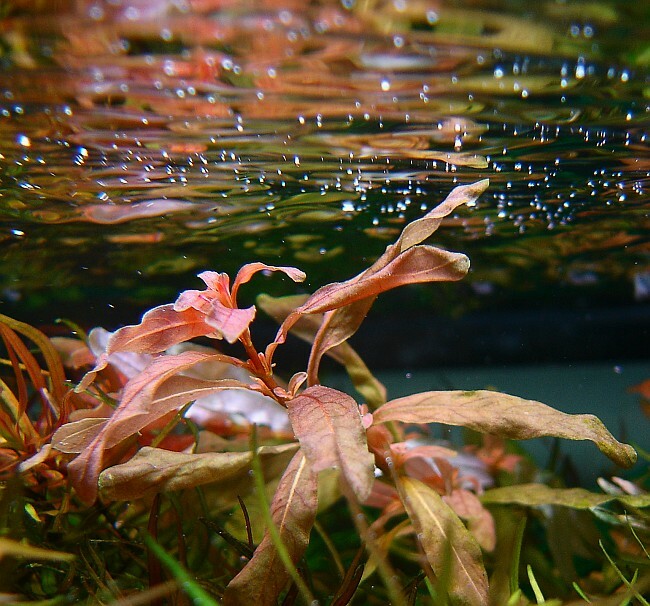 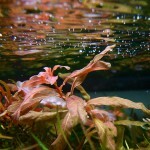 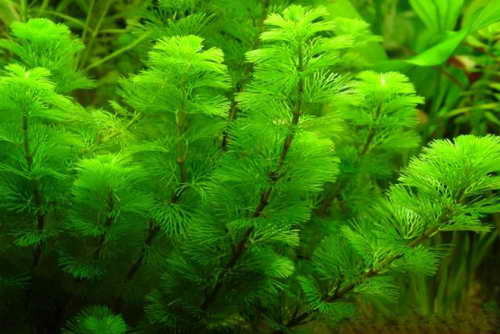 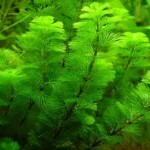 This is because most aquatic plants are depth sensitive and require a specific water depth in order to thrive. 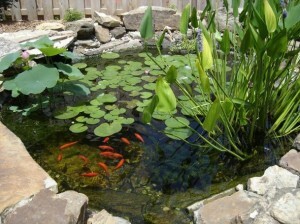 The smaller the pond the smaller the price. 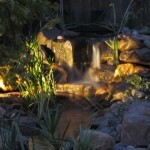 On the other hand the more you spend the more natural we can make it. 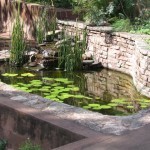 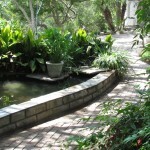 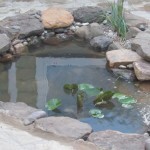 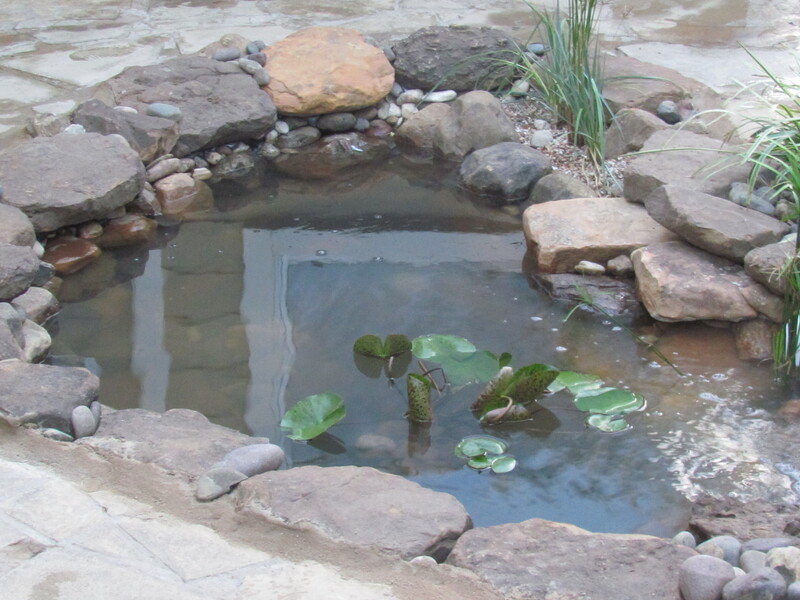 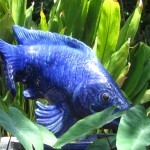 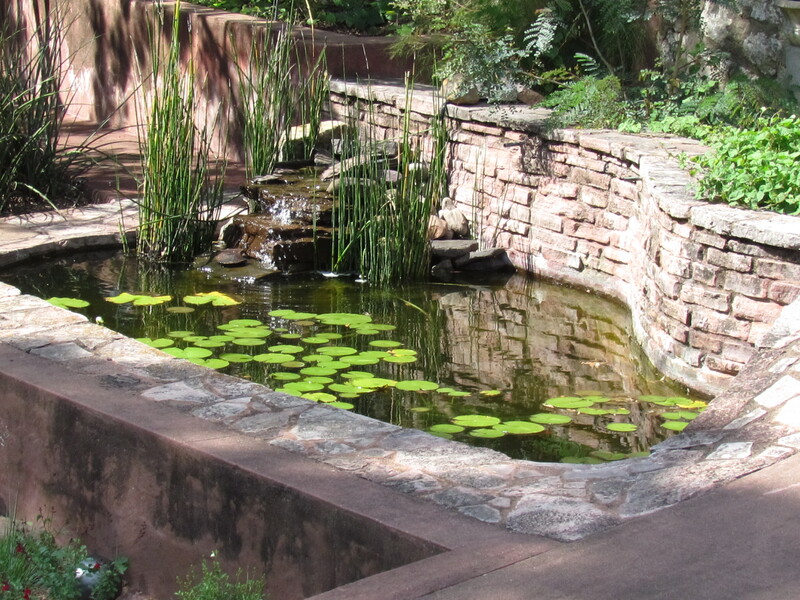 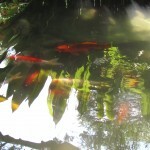 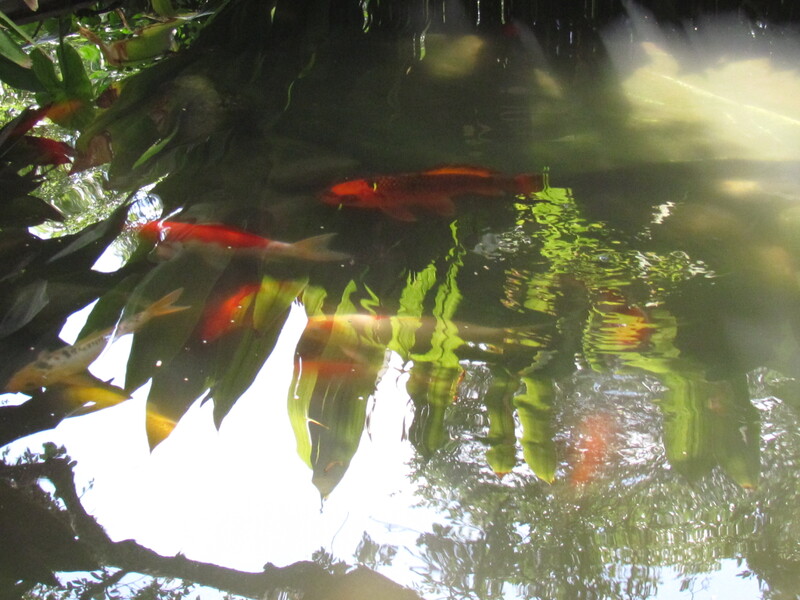 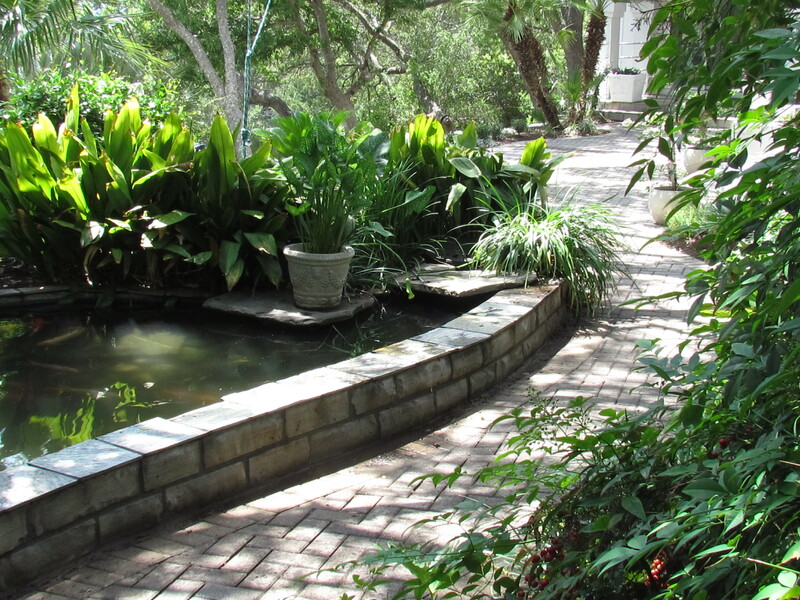 Most goldfish ponds or water gardens can be installed in a few days to a week depending on the landscape and additions made to the water garden. 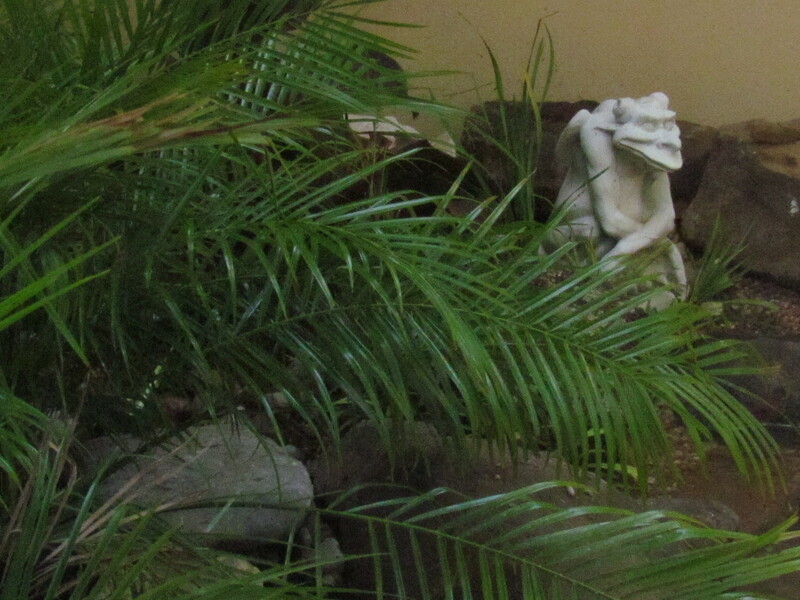 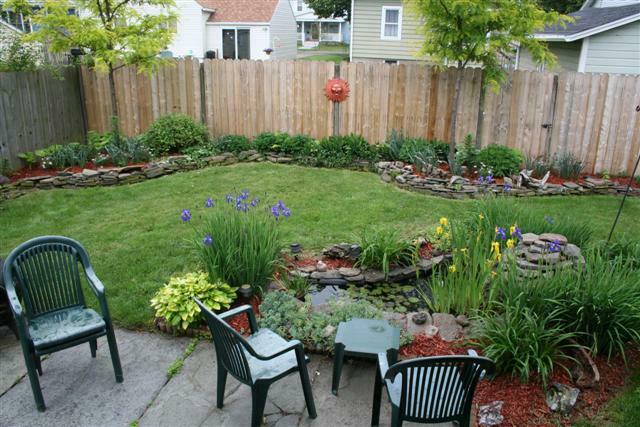 Our water gardens with a 1000 gallon pond, waterfalls, aquatic plants, goldfish and landscape are normally under $5000.00. 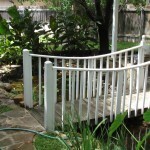 Of course everything is upgradeable with patios, outdoor lighting, decks or docks. 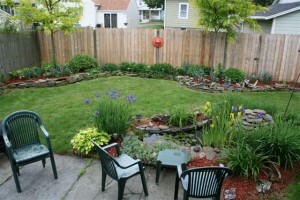 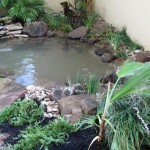 We are a full service landscape company as well so we can recreate your whole back yard. 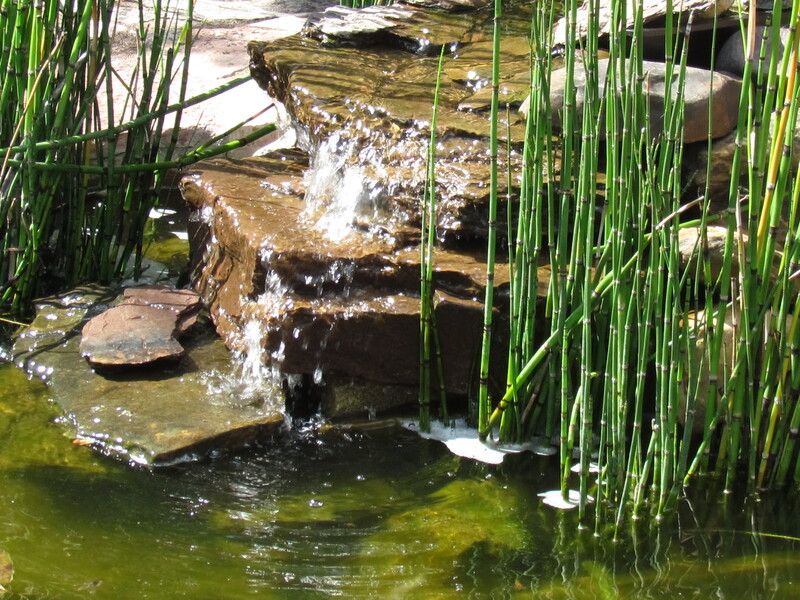 We can get a wide variety of aquatic plants so feel free to look at our catalog of plants to accommodate the rest of your landscape. 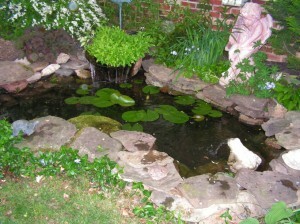 In some cases the way we arrange the plants in the pond will grow over into the lawn making the edge of the pond disappear. 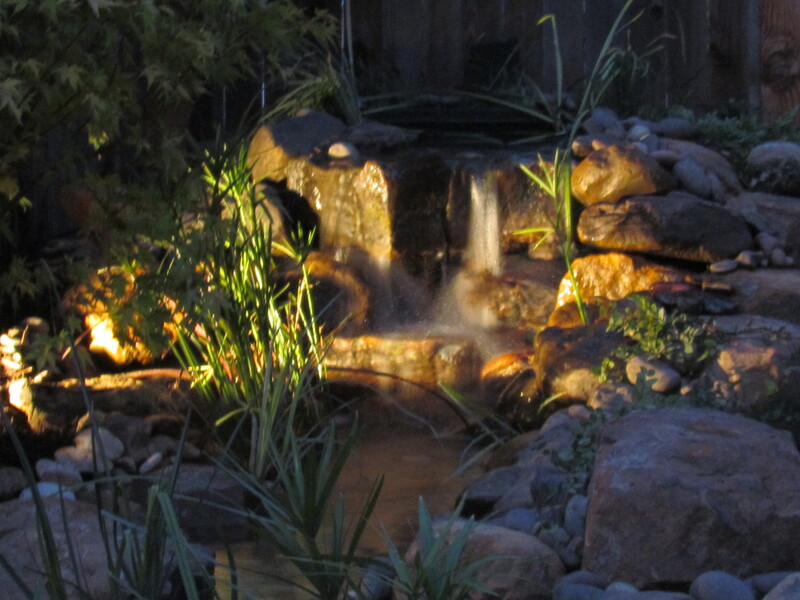 There is no need for large pumps or ultraviolet lights. 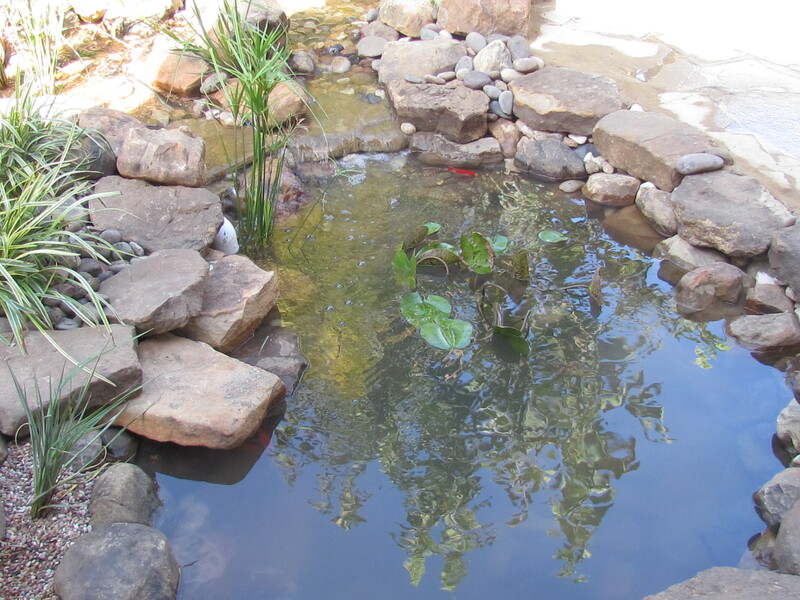 The pond is small enough to take care of it’s self. 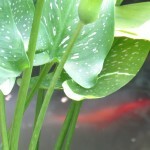 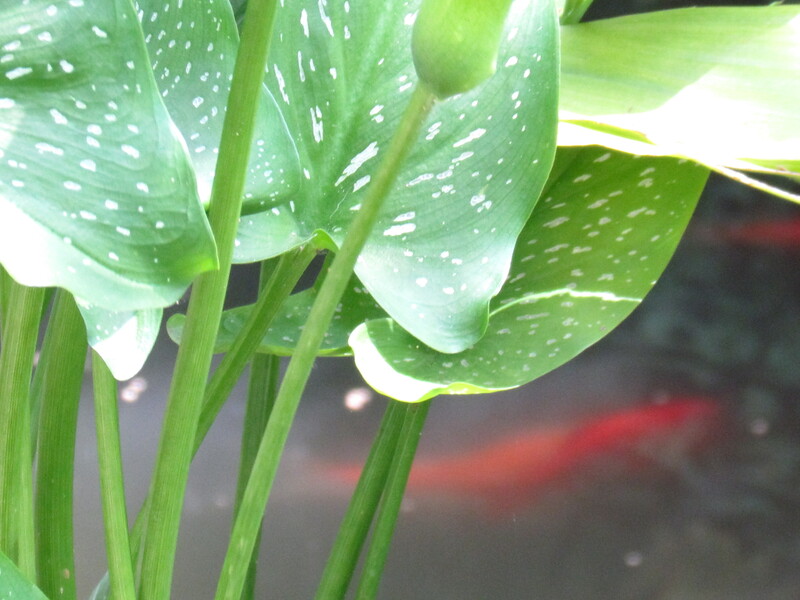 The goldfish will eat on the small bugs or plant life in the pond. 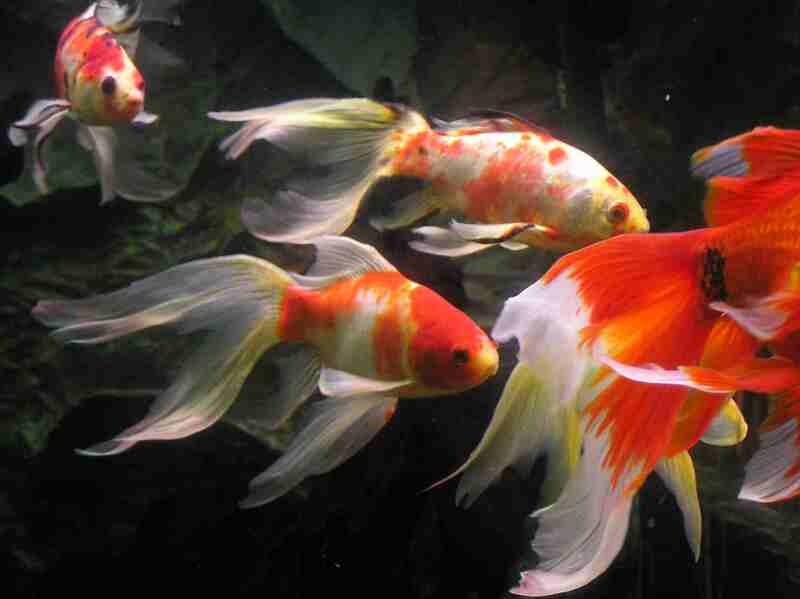 Gold fish don’t have to be feed but it is ok to feed them. 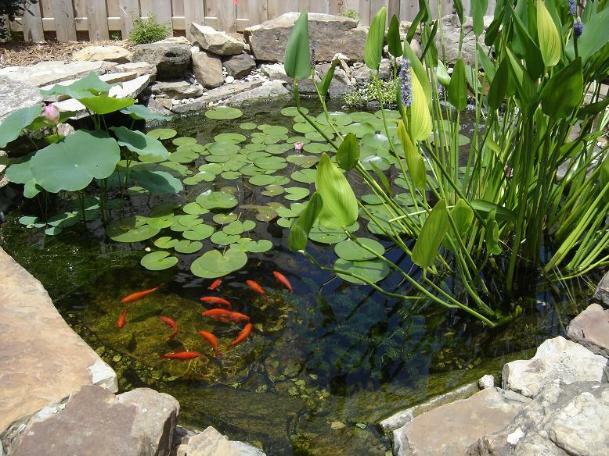 Kids love goldfish ponds just as much as adults. 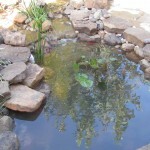 Please don’t think you have to have a small goldfish pond we can make them any size. 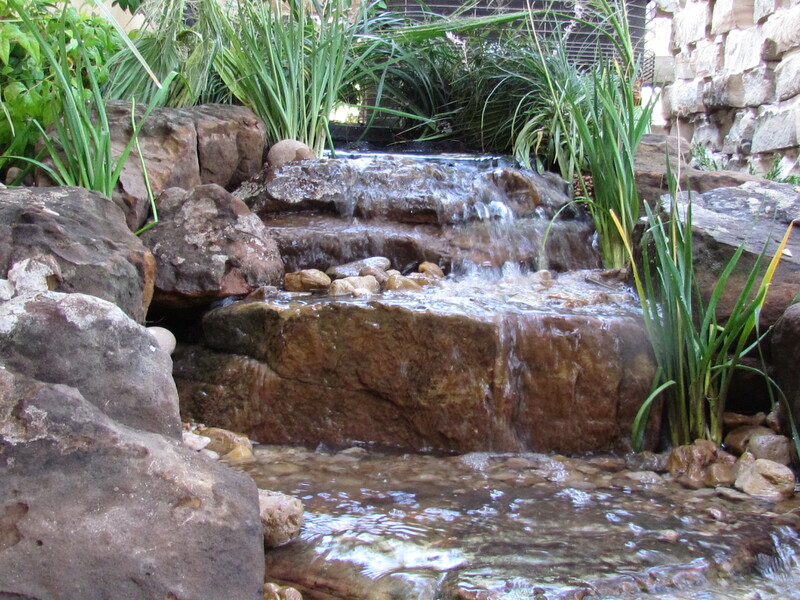 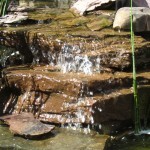 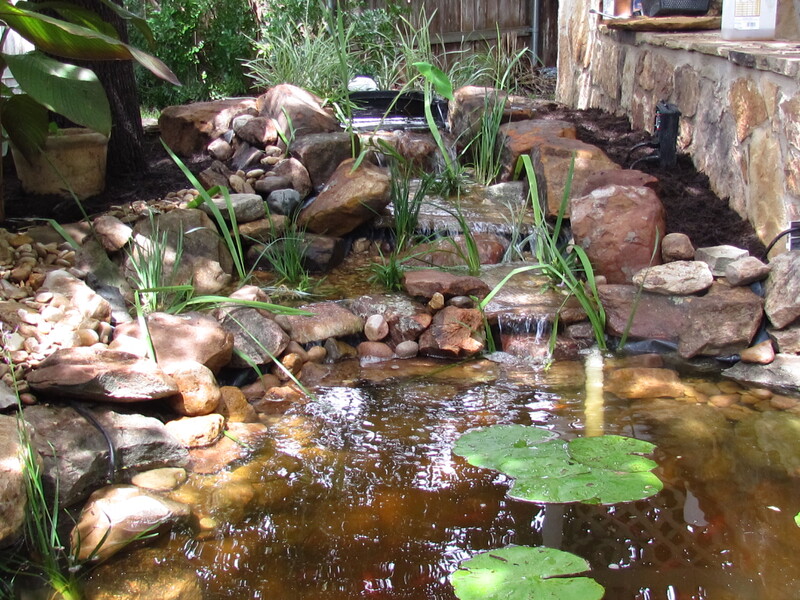 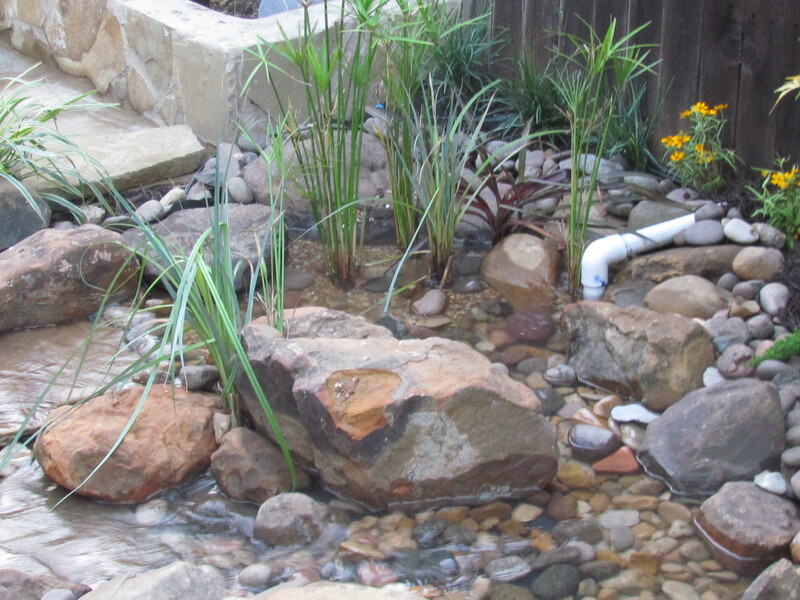 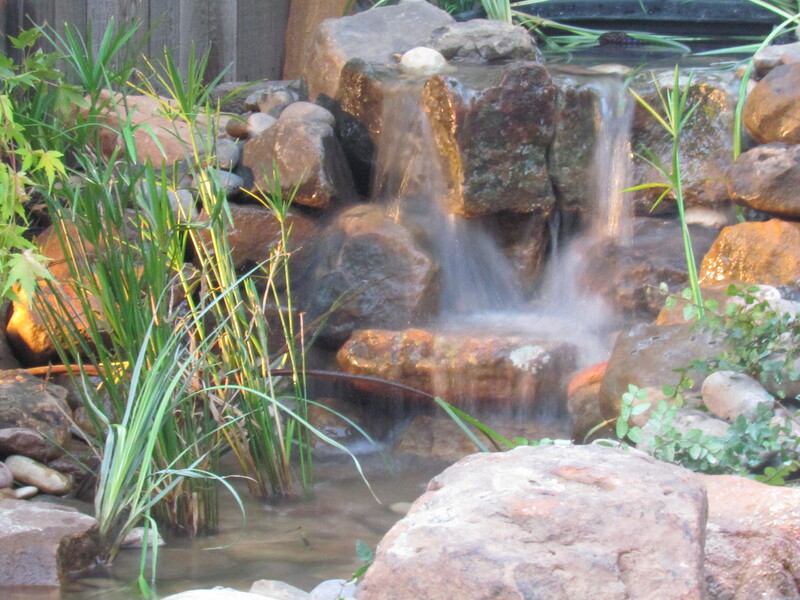 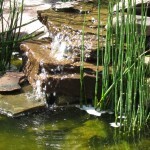 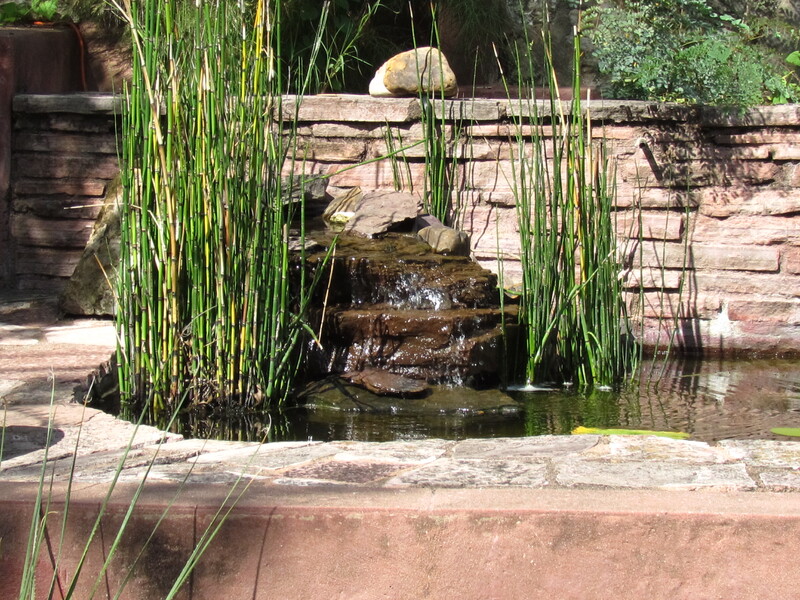 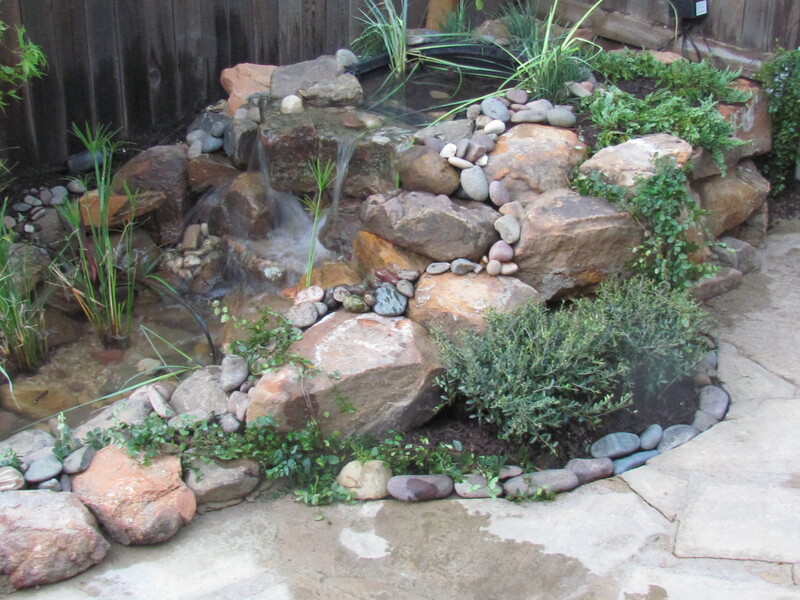 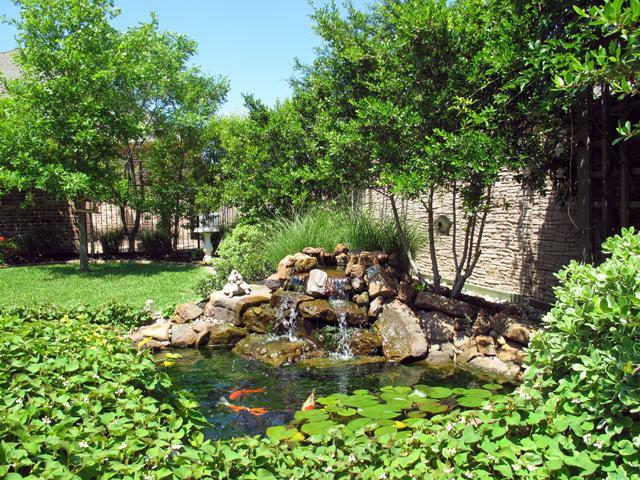 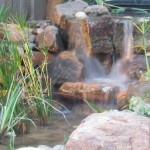 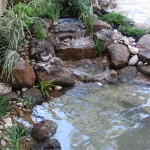 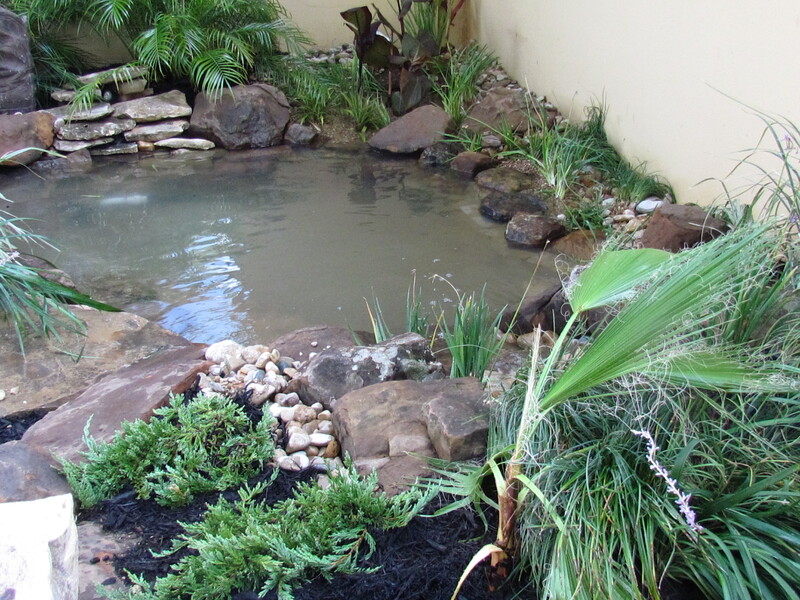 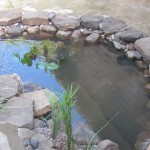 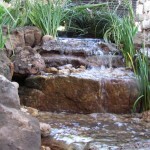 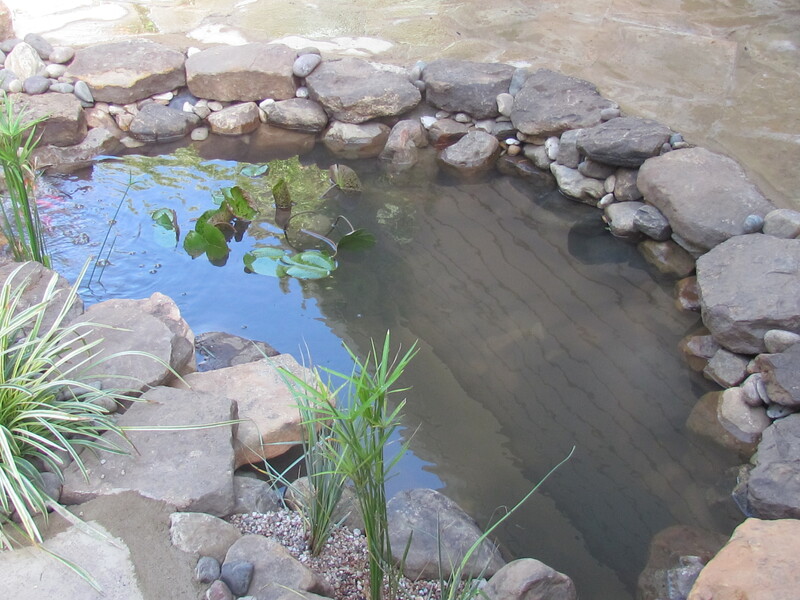 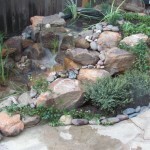 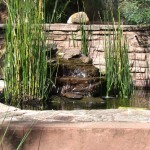 We can add large waterfalls or even incorporate a stream that winds into the pond. 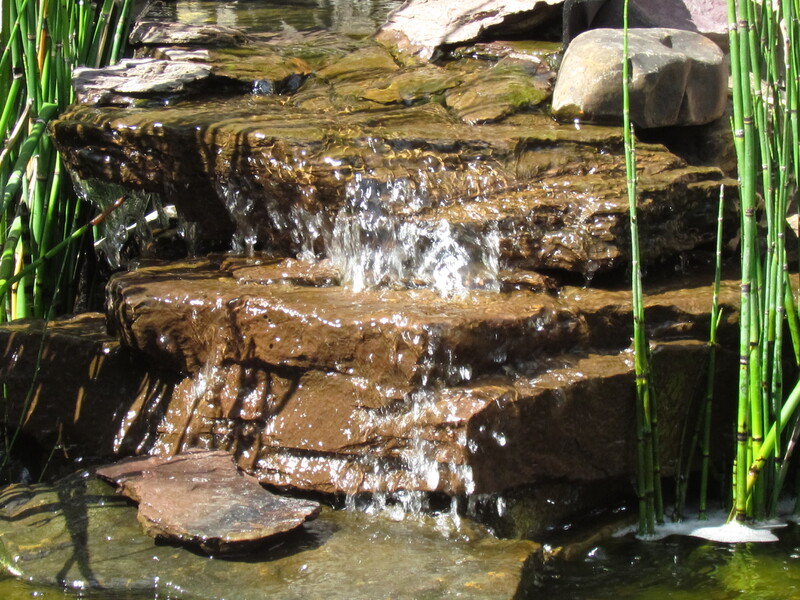 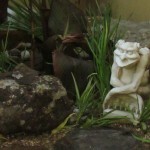 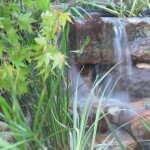 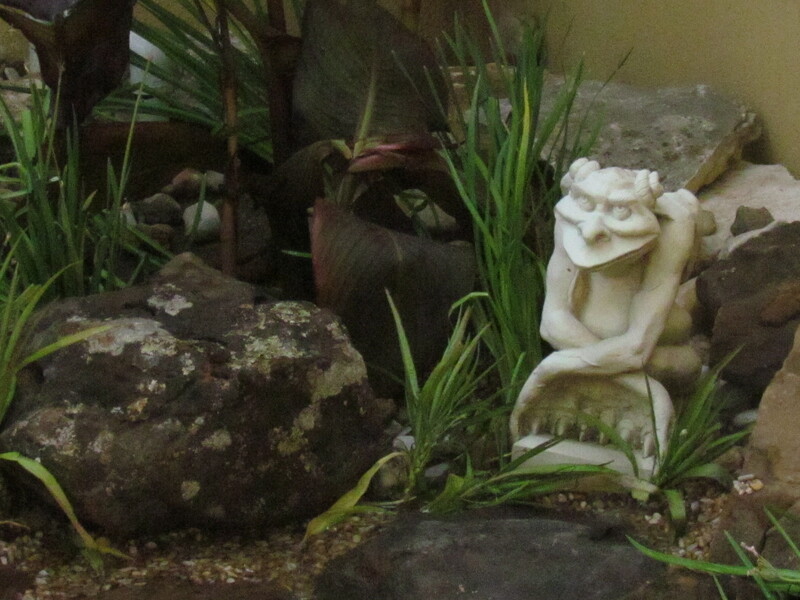 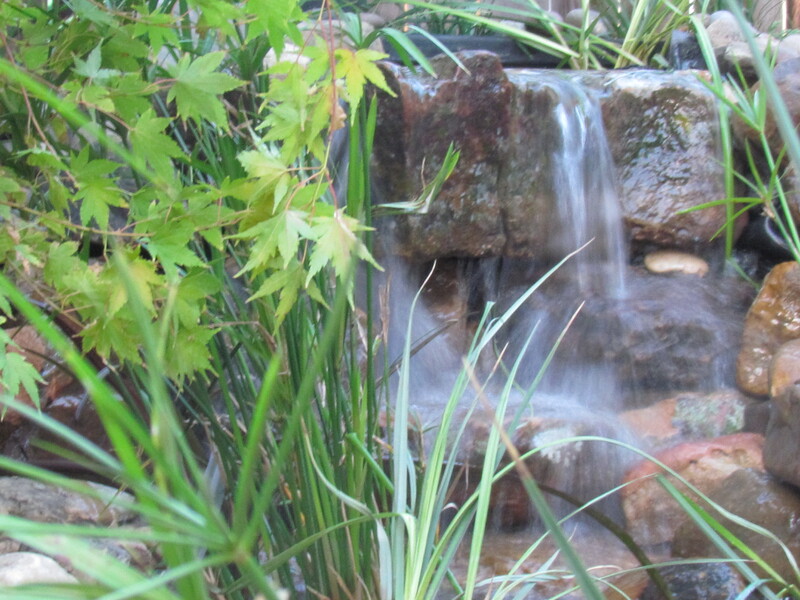 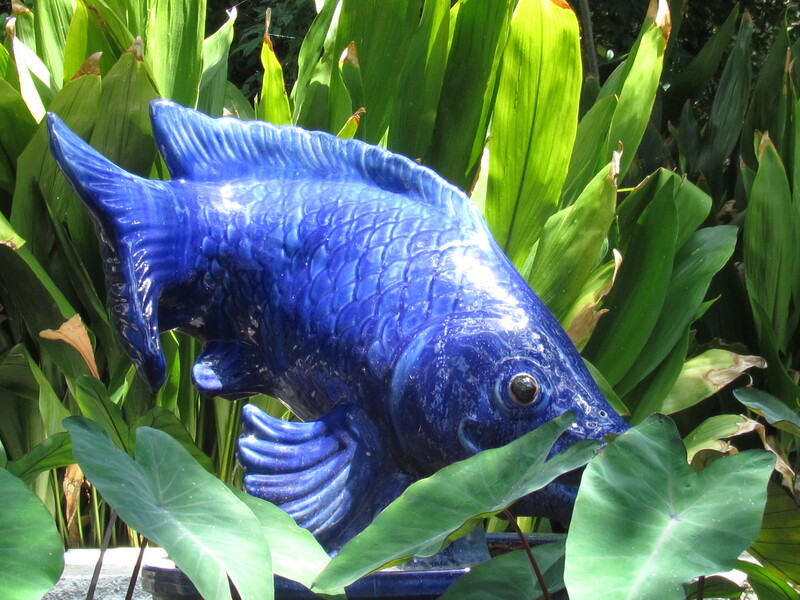 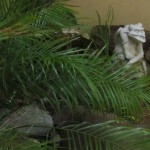 If you are not into waterfalls we can use statuary or pots to create the sounds of water. 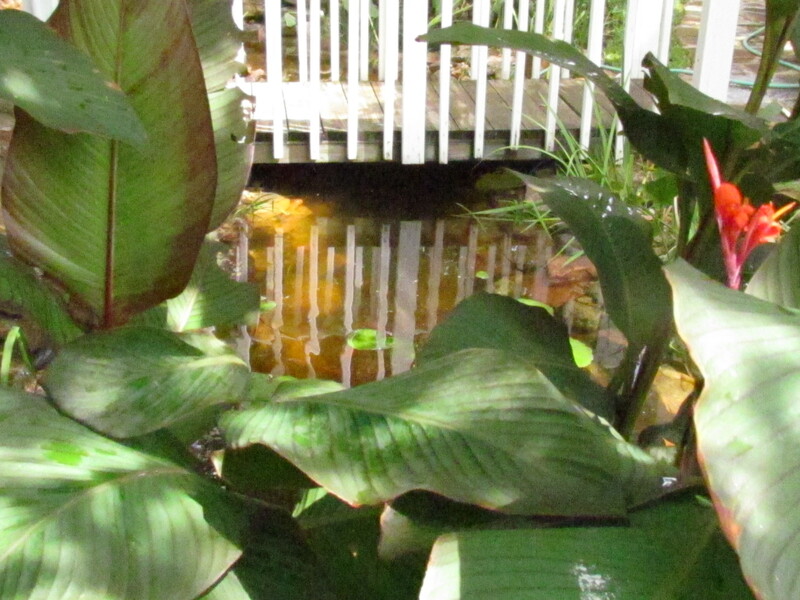 As always the possibilities are endless. 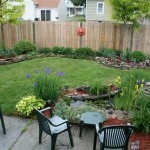 Let us work with you to create the ultimate backyard get away for the price of a small vacation. 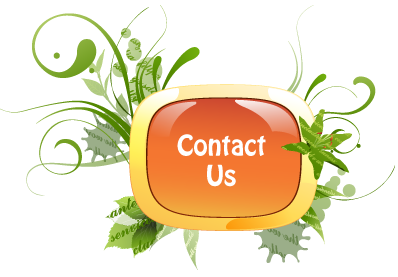 We are not a free service, depending where you are located we do charge a consultation fee. 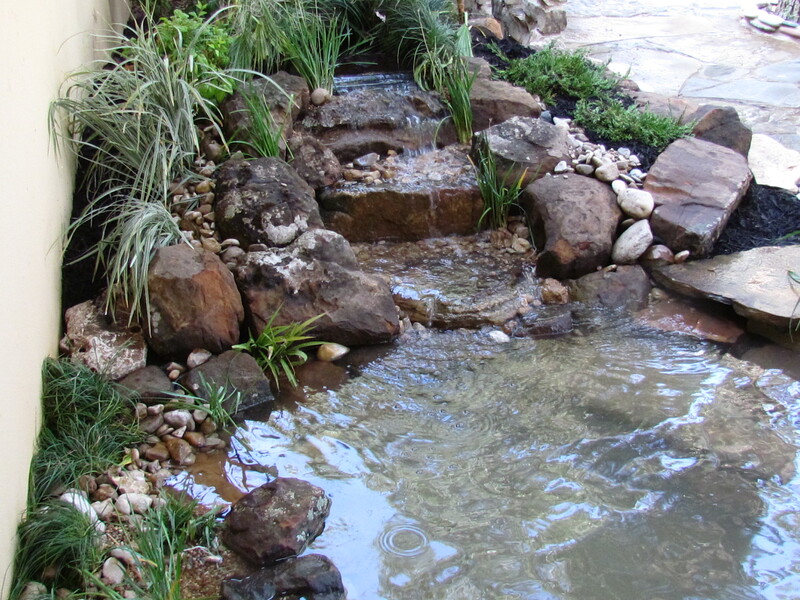 the consultation fee is refunded when and if you decide to use our services. 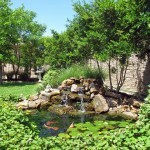 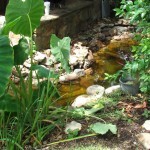 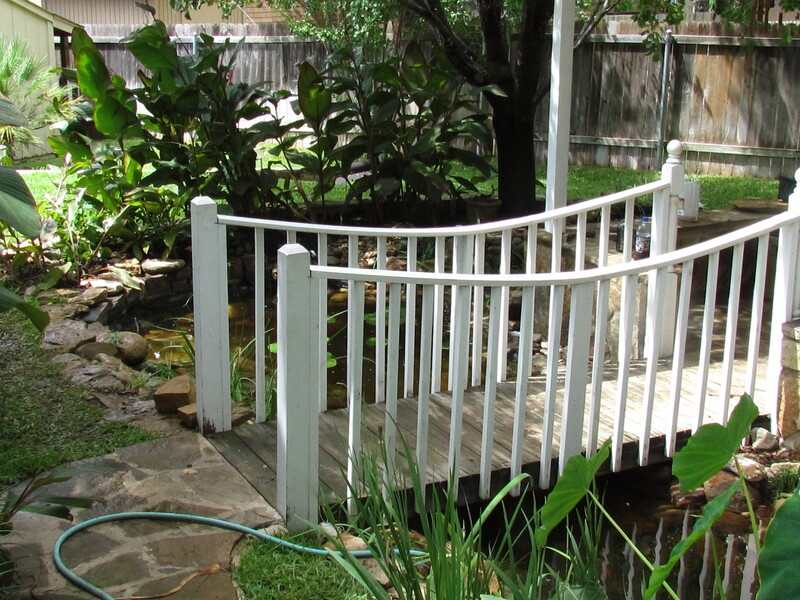 FYI our prices and service far surpasses the rest of the pond builders in the central Texas areas.